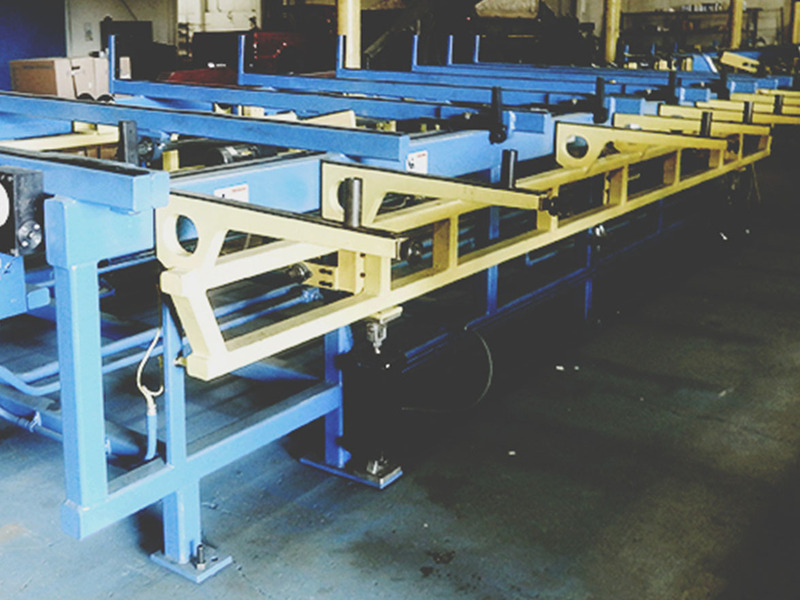 Electro-Tech Automated Feed Tables provide the ultimate in controlled loading and unloading capabilities. 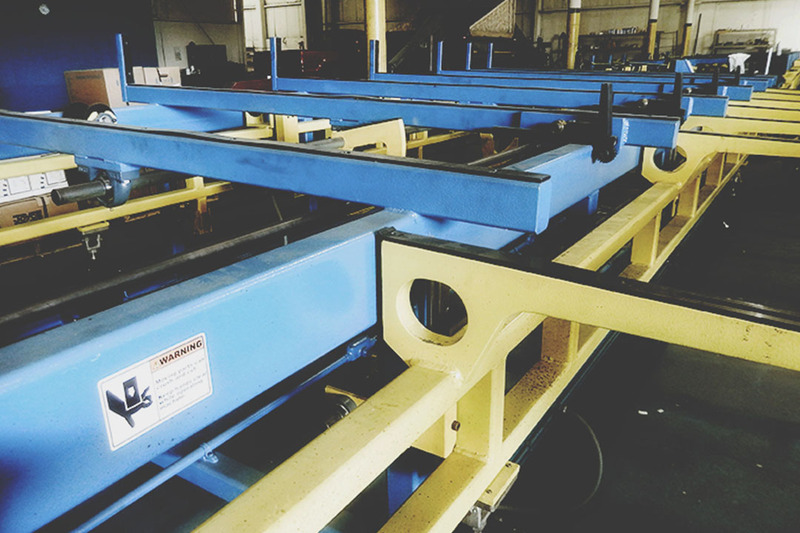 We design our systems to be very easy to operate, to protect and handle your bar products with precision, and to offer you value-added performance under any conditions. All contact surfaces are coated with non-marring materials, while the precision-built steel tube frames offer strength and durability and are built to last. 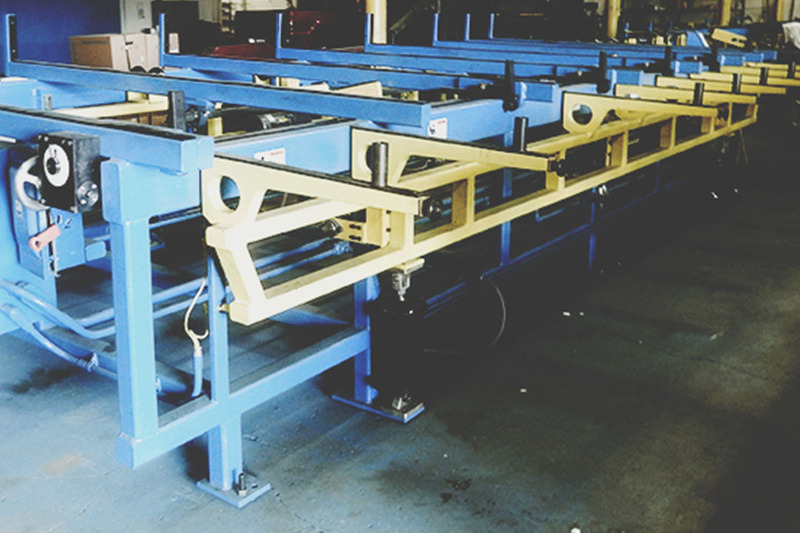 Pneumatic arm assemblies and bar stops featuring simple single-point adjustment allow easy setup and consistent performance. 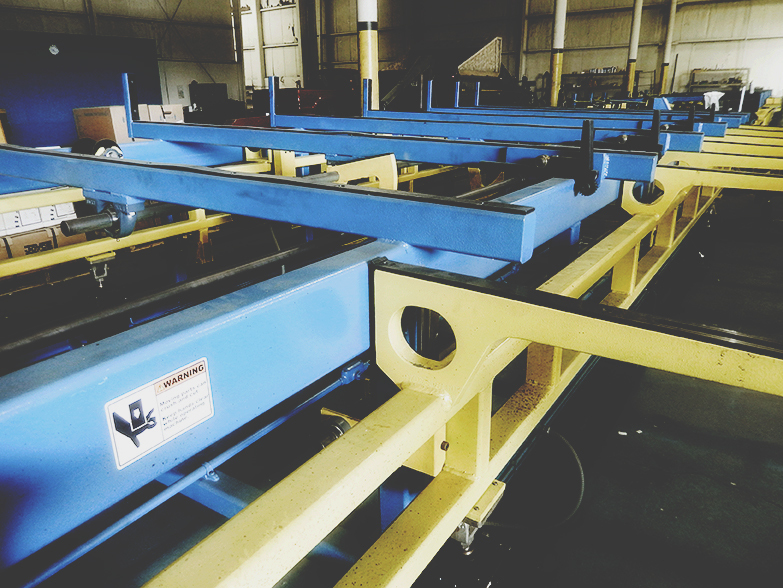 We also incorporate our EZ-DOWN® Cradle Strap System, which lowers the finished bars automatically for easy bundling and offloading from the machine.